We love our modern conveniences. Whether it’s the garage door opener, TV remote or ice maker, it disrupts our day when they don’t work and we’re forced to go manual. But, it’s not just home appliances that cause frustrations. At work, there’s nothing more aggravating than clicking ”print” only to find that the output isn’t what you intended. And, it’s even worse when clients are waiting or a shipping deadline is near. So, the question we ask ourselves, often in a panic, is how do I fix this? Like many problems, prevention is the best remedy. Here are useful steps you can take to increase efficiency, minimize frustrations and problem solve a solution when options are scarce. A label or wristband for admitting a patient. Medication labels to ensure proper dispensing. A barcode label that assures products are distributed accurately. 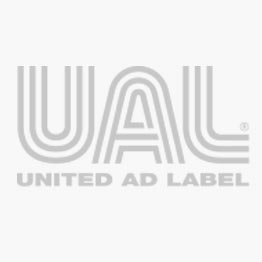 United Ad Label products are essential to many business functions. However, you shouldn’t have to spend extra time on ordering or waiting for your order. That’s why we designed our ordering and distribution systems to meet your needs, regardless of the purchasing system or location. Although labels don't represent your largest expenditure, they are commonly used across numerous applications so the expenditures can add up.